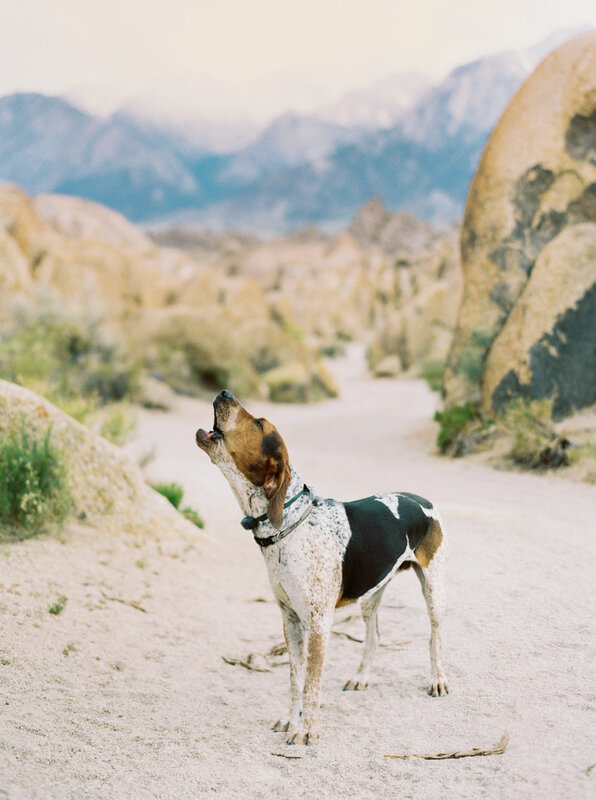 We recently sent the team out to the beautiful Alabama Hills to shoot the 2nd episode of "Outdoor Adventure Dogs". 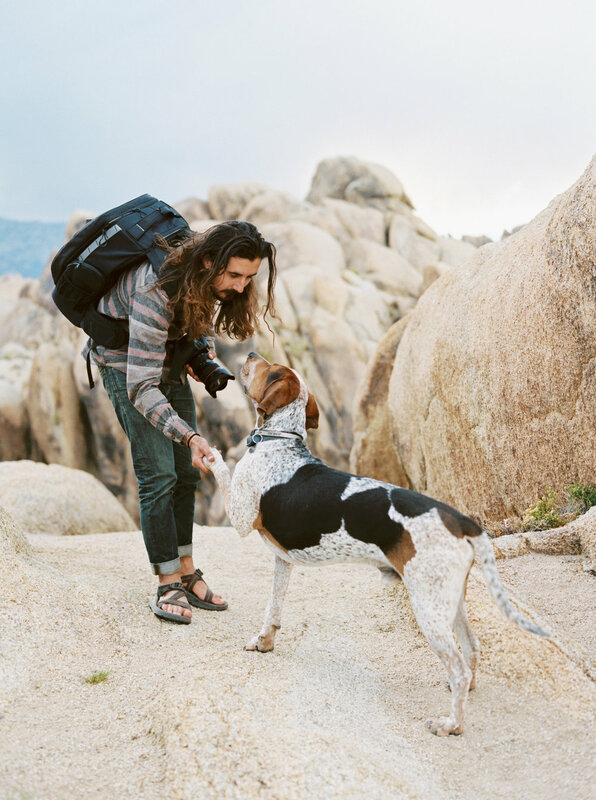 We linked up with San Diego based Outdoor Photographer, Rodrigo Trevino and his amazing Coonhound, Juneau to shoot them adventuring against the Sierra Mountain backdrop. We met Rod back in 2016 when we collaborated on a project for Boston Traders. 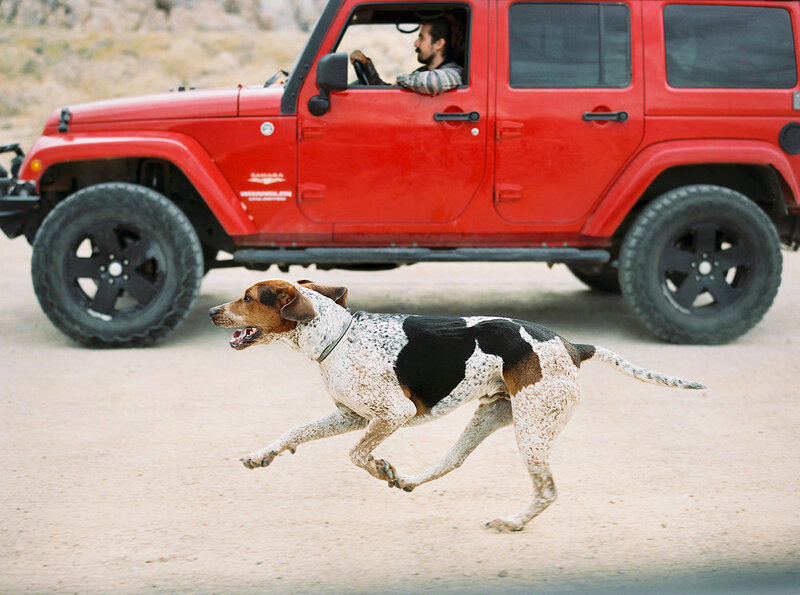 At the time, Rod had a Black Lab named, Rango. A short time after that project, Rango was diagnosed with cancer and passed away. Rod continued his ventures solo, but it wasn't the same without a sidekick and that's when he rescued, Juneau. When we were working on pre-production for this project we knew we wanted to have Rod's story in the lineup. We approached Rod and he was 110% down to work with us and he squeezed us into his crazy schedule of worldwide travels. Two days before our shoot he was in Iceland and then a few days after the shoot he was off to Peru (where he rescued another dog and brought him back to the States - amazing story BTW), and Africa. We flew a team of 4 into LAX and we had to rush into Lone Pine to get our film permit for the shoot. 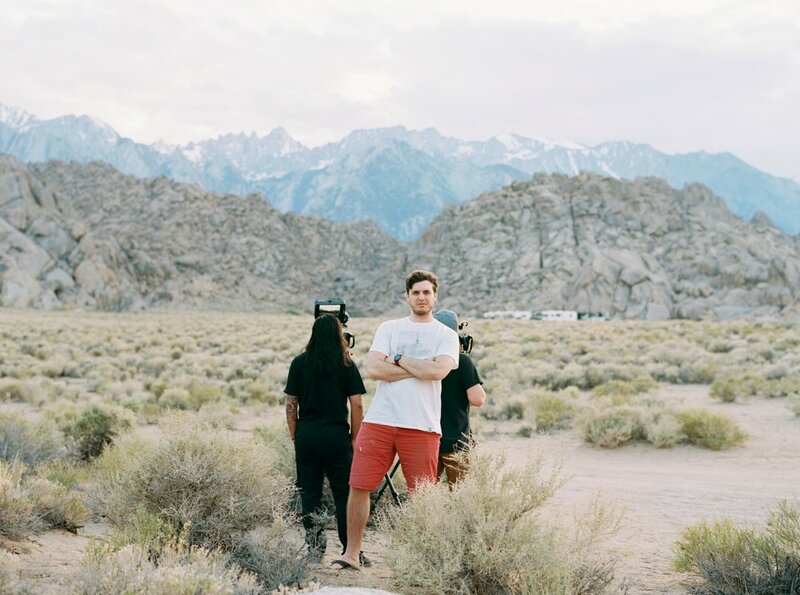 Luckily we made it with about 5 minutes to spare and from there we adventured around the Alabama Hills and started shooting some good ole' B-Roll. For this location we had to get 2 separate film permits; one to film specifically on the road and one to film on 2 locations within the area. Race and Rev all set up for sunset. Field Sound Tech / Giant - Jeremy. We used an app called PhotoPills to line up the timelapse sequence of the sun rising through the Mobius Arch. If you haven't used it before, we highly recommend checking it out as it's pretty darn accurate! Rhino Slider + Motion Controller = AWESOME! FYI - there was a group of about 10 people walking in and out of this shot and Jess photoshopped all of them out. Frame. By. Frame. Setting up to shoot the iconic sunrise of Movie Road going into the Sierra's.